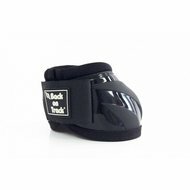 The protection bell boots are anatomically shaped for a perfect fit. 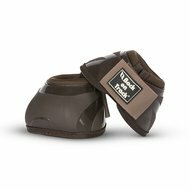 The reinforced material on the outside protects the crown edge when tapping on the back of the foot, the crown edge and the hoof itself. 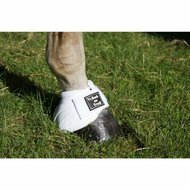 They can be used during training, competition, in the paddock, meadow or mill. Available in black, brown and white in sizes S, M, L and XL.